People love legends, even in the world of computers. And Ada Lovelace is the perfect person for such a legend. Augusta Ada (young Augusta's name was changed to Ada in order to avoid association with her aunt, for whom she had been named) Byron (born on 10 December, 1815) was the only legitimate child of the British Romantic poet, George Gordon, Lord Byron. Her mother was Anne Isabella Milbanke, who took the baby at one month old away from her father's home. Ada Augusta Byron never saw her father again, he died when she was eight. Ada got a rather uncommon for a woman of these times education, as his mother, who had studied mathematics herself, decided that her daughter would be spared the father's eccentricities by studying more logical subjects like math and science, rather than literature or poetry. Young Ada Lovelace showed a genius for math from an early age. Her tutors included William Frend and Mary Somerville. She also learned music, drawing and languages, and became fluent in French. 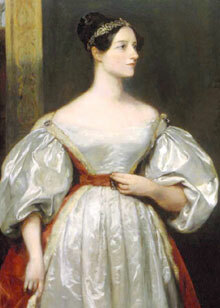 In 1835 Ada Byron married a William King. 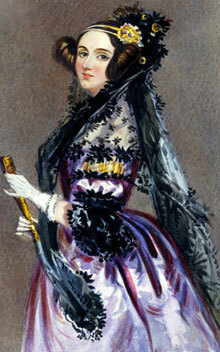 In 1838 her husband became the first Earl of Lovelace, and Ada became countess of Lovelace. They had three children. Ada Lovelace unknowingly developed an addiction to prescribed drugs including laudanum, opium and morphine, and displayed classic mood swings and withdrawal symptoms. She took up gambling and lost most of her fortune. She was suspected of an affair with a gambling comrade. 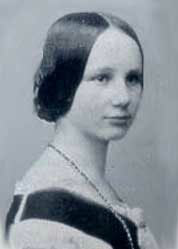 Ada died young (in 1852) of uterine cancer and bloodletting by her physicians and was buried next to her famous father. It is out of the question, that she was an outstanding woman. But what is her place in the computer science? Some people used to call her the World's First Computer Programmer, and even Founder of Scientific Computing. In 1980, the U.S. Department of Defense settled on (in honor of Lady Lovelace) the name Ada for a new standardized computer language. The truth is somewhat different—Ada Lovelace has a rather modest place in the world of computers. She was in the right place at the right time and reflected some of the light of one of the greatest persons in the world of computers—Charles Babbage. Foreseeing almost with a century the modern general-purpose programmable computer, in 1830s Babbage designed his Analytical Engine. He was not a diligent writer however, especially concerning documentation of his ideas (actually he was rather careless and impractical man, which will end in some friction developed between Ada Lovelace and him during their later mutual work), thus we know little of Babbage's programming ideas. In August 1840, Babbage visited Turin in Italy and gave a series of seminars on the Analytical Engine at the Academy of Sciences. One of the listeners—the Italian engineer and professor Federico Luigi Menabrea (1809-1896), who later on will become the Prime-Minister of Italy, wrote up the lectures, modified with ideas from the discussions, in the paper Notions sur la Machine Analytique de M. Charles Babbage, which was published in French in Bibliothèque Universelle de Genève in October 1842. This paper was the first extensive publication on the computers and programming in the world. After publication in 1842 of the paper of Menabrea, Babbage was asked to write a paper for two British scientific journals (The Ladies Diary and Taylor's Scientific Memoirs). Thus he decided to ask Ada Lovelace to translate Menabrea's article into English, but to append extensive notes to the translation, prepared under Babbage's close guidance. These deal with the familiar modern ideas of flow of control in programs, particularly the formulation of simple loops and nested loops controlled by counters. However, the paper (see Sketch of The Analytical Engine) and notes carefully and deliberately skirt around any discussion of details of the means by which these are to be implemented, yet it was written for a journal audience. I then suggested that she add some notes to Menabrea's memoir, an idea which was immediately adopted. We discussed together the various illustrations that might be introduced: I suggested several, but the selection was entirely her own. So also was the algebraic working out of the different problems, except, indeed, that relating to the numbers of Bernoulli, which I had offered to do to save Lady Lovelace the trouble. This she sent back to me for an amendment, having detected a grave mistake which I had made in the process. Babbage considered this paper a complete summary of the mathematical aspects of the machine, proving that the whole of the development and operations of Analysis are now capable of being executed by machinery. Ada also expanded upon Babbage's general views of the Analytical Engine as a symbol-manipulating device rather than a mere processor of numbers. 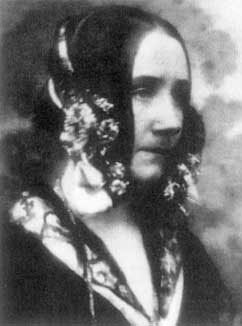 She brought to the project a fine sense of style that resulted in the frequently quoted analogy, "We may say most aptly that the Analytical Engine weaves algebraic patterns just as the Jacquard-loom weaves flowers and leaves." She suggested that it "might act upon other things besides number, were objects found whose mutual fundamental relations could be expressed by those of the abstract science of operations... Supposing, for instance, that the fundamental relations of pitched sounds in the science of harmony and of musical composition were susceptible of such expression and adaptations, the engine might compose elaborate and scientific pieces of music of any degree of complexity or extent... Many persons who are not conversant with mathematical studies, imagine that because the business of the engine is to give its results in numerical notation, the nature of its processes must consequently be arithmetical and numerical, rather than algebraic and analytical. This is an error. The engine can arrange and combine its numerical quantities exactly as if they were letters or any other general symbols; and in fact it might bring out its results in algebraic notation, were provisions made accordingly". So, what about the Ada's title the world's first programmer? Well, this is nonsense! Babbage was, if programmer is the right term at all. After Babbage came a mathematical assistant of his, Babbage's eldest son—Benjamin Herschel, then Menabrea and possibly Babbage's two younger sons. Ada was probably the fifth or six person to write programs. Moreover all she did was rework some calculations Babbage had carried out years earlier. It is out of the question however, that Ada was Babbage's fairy lady—interpreter, adviser, collaborator, and confidante, supporting his work financially, intellectually, and emotionally. As such her achievement was certainly remarkable.